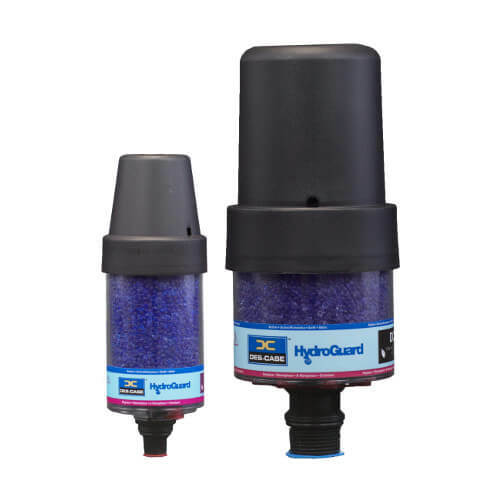 Designed for steady-state operations and high-humidity environments, Des-Case HydroGuard breathers feature expansion chambers and internal check valves that create a nearly sealed system. 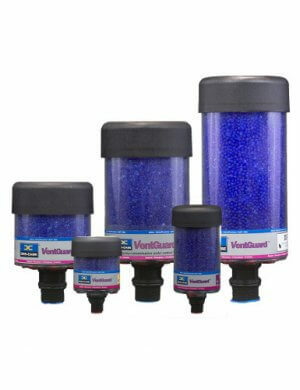 This maximizes the use of air that has already been dried and filtered, and increases the life of each breather by 400–800%. Efficiency is 3μ absolute (ß3≥200), temperature range is -20˚F–200˚F, and connections are 3/8″ to 1″ multi-fit with adapters available from ¾” to 1 ¾”. 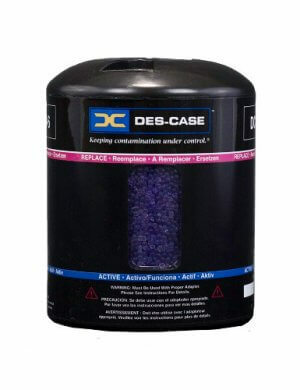 We provide these breathers in cases of six.